The release of this album coincides with the latest North American tour by Hillsong's youth worship ministry. The 12 tracks celebrate the passion and power of God's barrier-breaking love as it transforms lives across the earth! 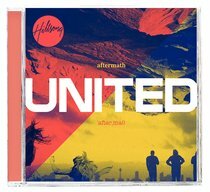 About "Hillsong United 2011: Aftermath (United Live Series)"
Customer Reviews For "Hillsong United 2011: Aftermath (United Live Series)"
I purchased this CD a couple of years ago, but have recently been re-listening to it. It is a great album. I really enjoy the overall theme and feel of the album. The lyrics to the songs are very powerful. I particularly like the song - Take Heart. It is an uplifting and encouraging song. I would recommend this album to others. I love a good studio album. I really love a good Hillsong United studio album, and I really love this album. 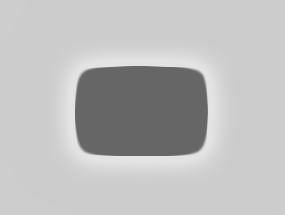 The blend of sounds is amazing, and I'm sure you'll love it just as much as I do. If you are unsure about getting this, just get it. Another great studio album by Hillsong United. This album has a whole new feel to it. I love this album, and 2 years later I am still listening to the songs. My favs are Go, Like an Avalanche and Nova. This is a beautiful cd!. Our family listened to it for months and just couldn't get enough of it. Whether I was in a positive mood, felt down and out, etc. this cd always made me experience God and His intense love for me. I loved to sing along with it while driving (very enthusiastically), not caring what anyone driving by would think. I thank God for the wonderful talent He has given you! Recorded live with leaders Marty Sampson and Reuben Morgan, this passionate worship CD reveals the heart of a generation desperate to show the love of God and radically change the world for his glory. It captures the energy and excitement as thousands came together to praise God.